From Sapporo to Asahikawa: train, bus and car compared. 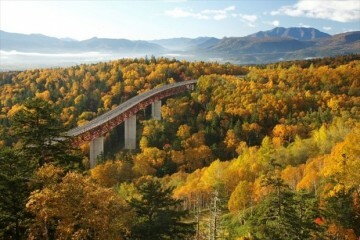 Many people on vacation in Hokkaido travel between the two major cities Sapporo and Asahikawa. 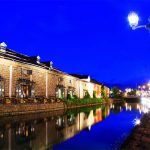 Asahikawa has lots of sightseeing spots, like Asahiyama Zoo, famous throughout Japan, and if you’re a fan of sake you’ll definitely want to see the Otokoyama Sake Brewing Museum. 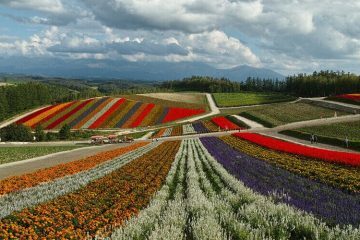 Also, around Asahikawa are areas such as Furano and Biei filled with the wonderful Hokkaido scenery, and it has good access to northern and eastern Hokkaido, so it is a popular base for tourists. 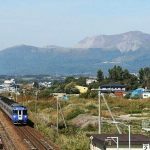 This article will compare the distance and time from Sapporo to Asahikawa using three different modes of transport: train, bus, and car. *The information provided in this article is accurate as of September 2016, and is subject to change. If you’re going from Sapporo to Asahikawa, the JR Express is very convenient. There are no transfers from Sapporo to Asahikawa, so it’s a nice, easy trip. There are 4 express trains running between Sapporo and Asahikawa: the Super Kamui, the Okhotsk, the Super Soya, and the Sarobetsu (but changes are being considered for the Spring 2017 route revision). Depending on the time and season, the unreserved seating may be full, so if you’re taking children, it’s probably better to go for reserved seating. If you’re thinking of getting a rental car and driving it from Sapporo to Asahikawa, I would recommend taking the train to Asahikawa and getting a rental car at the station. Train is the best and safest method of travel, all year round. The Asahikawa Express Line, the intercity bus linking Sapporo and Asahikawa, is cooperatively run by the Central Hokkaido Bus, the Dohoku Bus, and the JR Hokkaido Bus. One comes by roughly every 30 minutes, so the timing is easy. The bus is also a good backup option in case the JR train becomes delayed. Tickets are cheaper than those of the train, so if you’re not in a rush and want to keep travel costs down, the bus is a good way to go. The bus stop is a slight distance away from the JR Asahikawa Station, but it isn’t too far so the access isn’t bad. In winter, there is a higher chance of the bus being affected by public transport disruptions and closed roads, so on days with bad weather, be careful about taking this option. 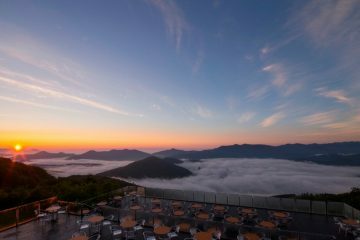 There are 2 main routes you could take to drive from Sapporo to Asahikawa. The first uses the expressway, and it takes less time so a lot of people use it. However, road accidents are more likely to happen in winter, so people who aren’t used to winter driving should be careful. The other route uses National Route 275. It tends to go through suburban areas, so you don’t have to go through as many traffic lights and can have a more enjoyable drive. There are also a few Roadside Stations along the way, so depending on the season and what you want to do, you can pick the route that works best for you. When travelling from Sapporo to Asahikawa, the expressway is very convenient. 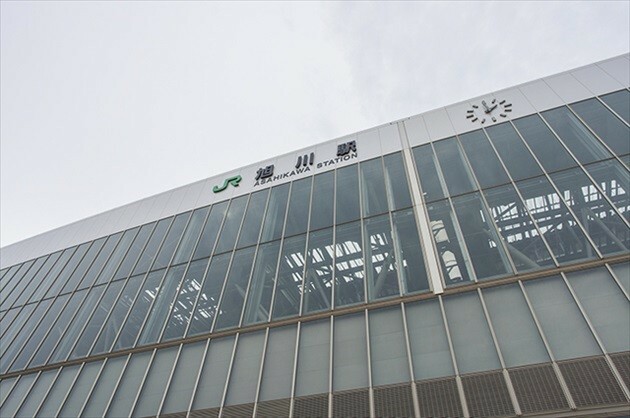 If you get on at the Sapporo Interchange and get off at the Asahikawa Takasu Interchange, from there it’s only about 15 minutes to Asahikawa Station. If you’re looking for a place to stop along the way, then there’s the service area Sunagawa Highway Oasis, directly linked to the expressway. It is a complex that houses restaurants and shops as well as Hokkaido Kodomo no Kuni. In addition to the souvenirs and sweets, kids will want to stay and play for hours at Hokkaido Kodomo no Kuni, and there are a lot of people who come specifically to go there. 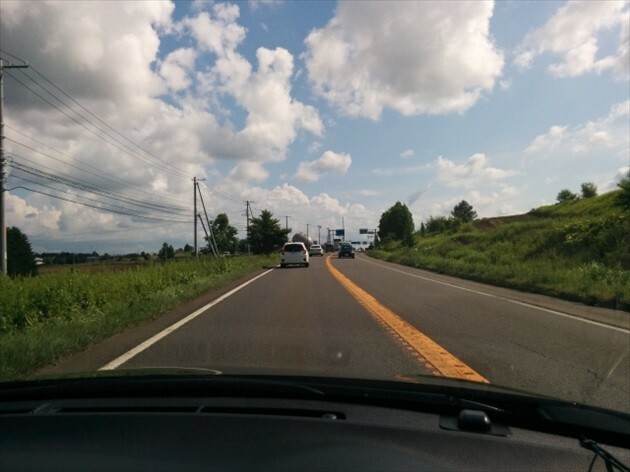 Our recommendation for a route to Asahikawa that uses public roads is National Route 275. Of the public roads, it’s the fastest way to get to Asahikawa as it goes through suburban areas. It is also used often by local long distance trucks, so it could be said to be the easiest route to drive as well. There are 3 Roadside Stations on this route. 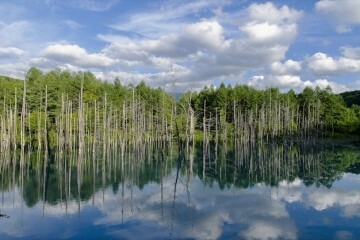 The first one you will see after leaving Sapporo is Tsurunuma. It has direct sales stores and places where you can get a light meal. It’s a bit over an hour away from Sapporo, so many drivers use it as a rest stop. There’s also a hot spring facility opposite the station. 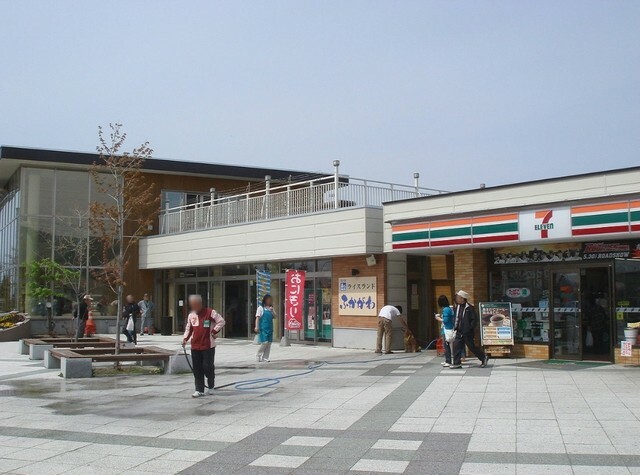 The second Roadside Station is Takikawa. Here you’ll find shops selling fresh vegetables straight from the source. There are also restaurants, and there’s a convenience store right next door. You see a lot of people camping here in their motorhomes. The third Roadside Station is Riceland Fukagawa. This Roadside Station has the theme ”Fukagawa, the city of rice,” and their bento made with Fukagawa delicacy “Fukagawa Sobameshi,” and the made-to-order “Kamameshi,” are both very popular. In addition, they have quizzes and games about rice, and a corner where you can experience the rice polishing process yourself; it’s like a little rice theme park. 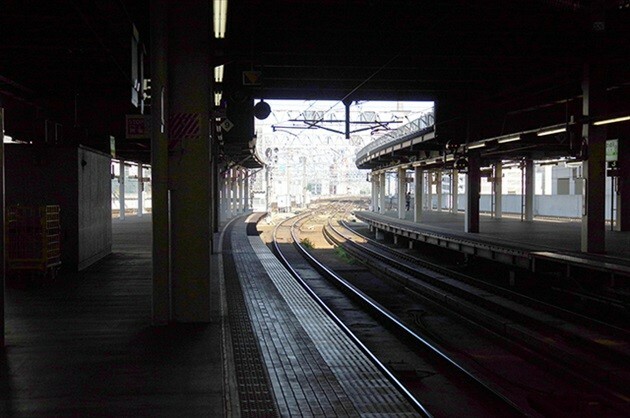 If you’re going from Sapporo to Asahikawa, we recommend you take the train. The fees are a bit high, but you can arrive easily and comfortably even in winter. The best aspect of the express bus is the low cost. 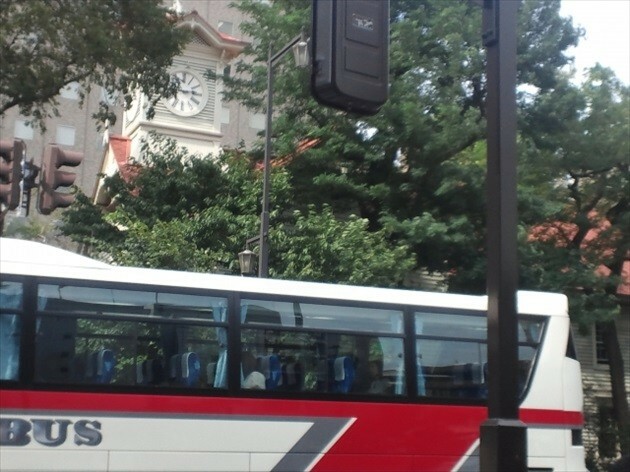 If you want to keep travel expenses down, the express bus is the way to go. However, the road can sometimes get blocked in the winter due to accidents, so you should only take this if you can afford to lose a bit of time. If you travel by car, you can stop at places along the way and enjoy the drive, but in winter, even if the weather isn’t too bad, the snow can sometimes make it harder to see, so be careful. If you aren’t used to driving in snowy conditions, you’d probably be better off avoiding this option. 【From Sapporo to Hakodate】Comparison among JR, Express Bus, Plane and Car! 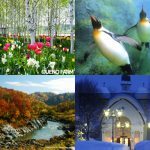 Asahiyama Zoo and Other Places of Note: Seven Must-See Sightseeing Spots in Asahikawa! 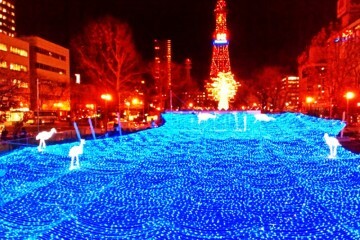 【From Sapporo】Five Recommended Bus Tours in Winter! How did I not know about this convenient bus? 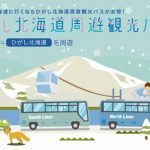 The Higashi-Hokkaido Tour Bus, explained!